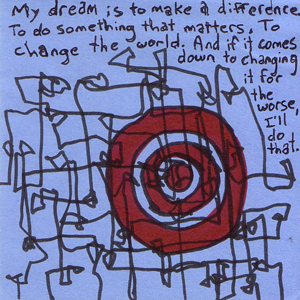 "My dream is to make a difference. To do something that matters. To change the world. And if it comes down to changing it for the worse. I'll do that."